April Kennedy...My Life + My Style: OLD-FASHIONED BIRTHDAY PARTY. Here is the centerpiece I created for my mom's table at the church R.S. birthday dinner. It was a throw back to a vintage birthday party with pin the tail on the donkey, musical chairs and root beer floats! 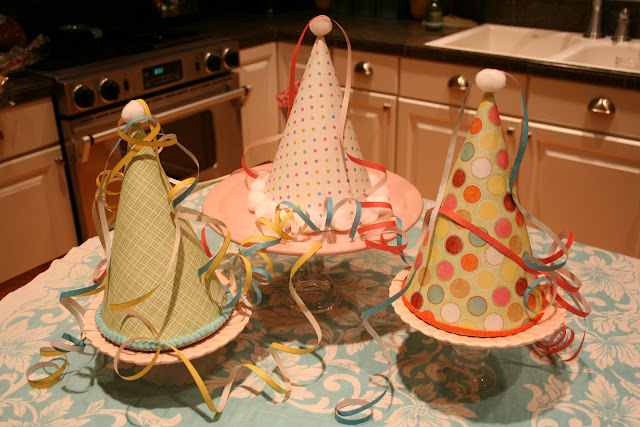 I spent the afternoon making these party hats and they turned out so cute sitting atop my cakeplates! I was pleased as punch! I heard they had lots of fun too! Oh....and I need your help. 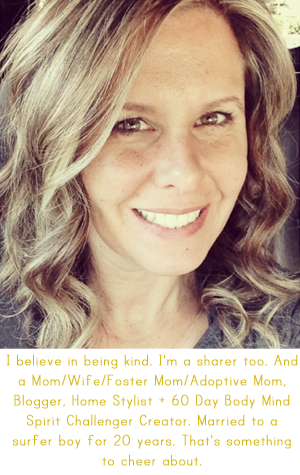 I have been posting over on my Butterflies about the baby shower that I am planning for a sweet friend. I need some ideas for fun, different baby shower games. Please go over there and leave me some ideas! Cutest center pieces ever!!! You are so crafty I love it!!! April ~ thank you for making MY table look so festive.